Download Video Previews for Xbox 360 - Xbox 360 Downloads, Repairs & Drive Replacements, Emulators, Homebrew, JTAG, RGH and more. leaked game footage via cell phone cam. Video of Test Drive Unlimited, showing off the world and the Pagani Zonda S Super Car. Heres a home video of the 360 freezing up. Just incase you were curious. Looks like another M$ nightmare. 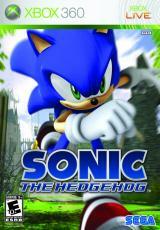 SEGA hopes the reinvention of this popular franchise will thrill both the long-time Sonic fans as well as a new generation of gamers with the exciting speed and action only possible on next-generation..